Festival times are fun and those are days I struggle the most as well planning the meals. 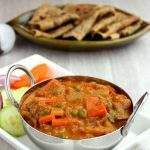 Coming from a Traditional TamBrahm family, I was raised not eating onions or garlic during festival days and shraad days. It was mostly just the traditional idli, dosai and upmas eaten in those days when I was growing up. 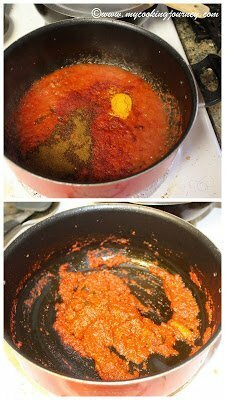 Now that my kids have had the pleasure of indulging in variety of recipes (thanks to blogging), they do not want to eat the same thing over and over again. 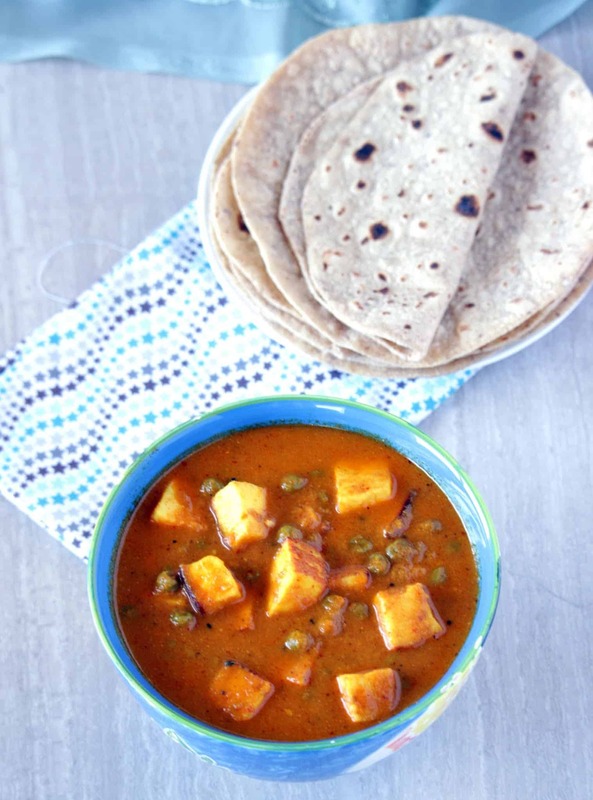 They are very fond of rotis and would absolutely love to eat it as often as possible. Like many others, I was also under the impression that subzis cannot be made without onions. 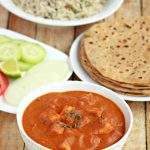 Blogging has changed my perspective and I have started making many recipes without using onions or garlic. 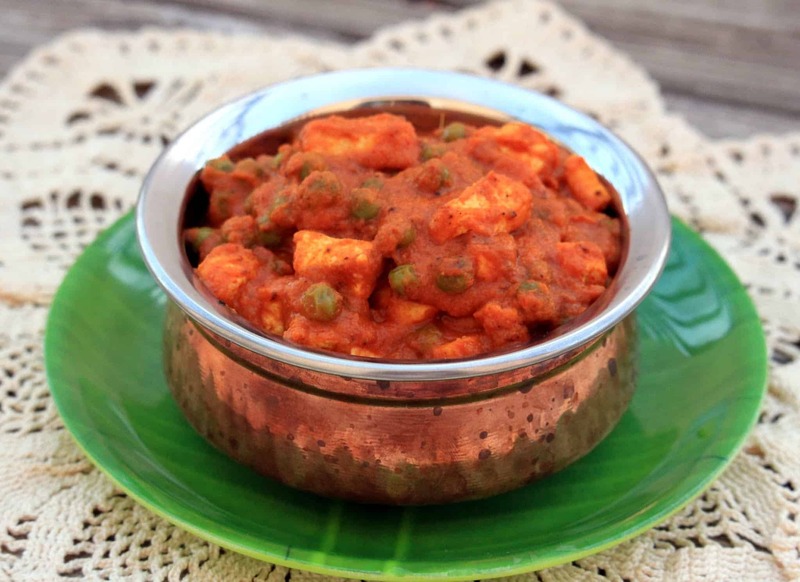 This paneer butter masala is a very good example and one will not even realize that it is made without onions. 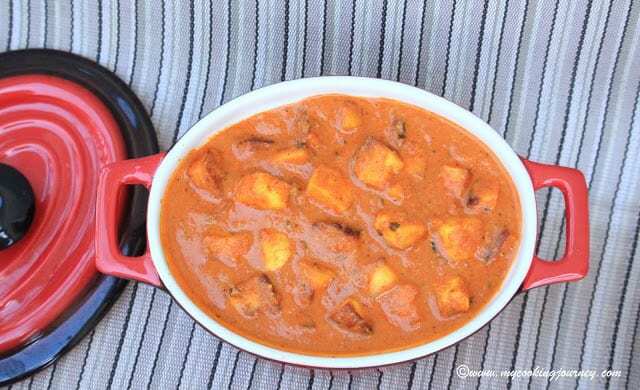 I have the restaurant style paneer butter masala already in the blog that uses onion and also a recipe for Gobhi butter masala, if you are watching calories and not want to use paneer. 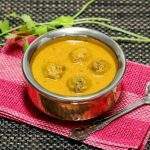 I have very loosely adapted this recipe from Jeyashri’s kitchen though I have stuck to similar spices that I use in my regular gravy. 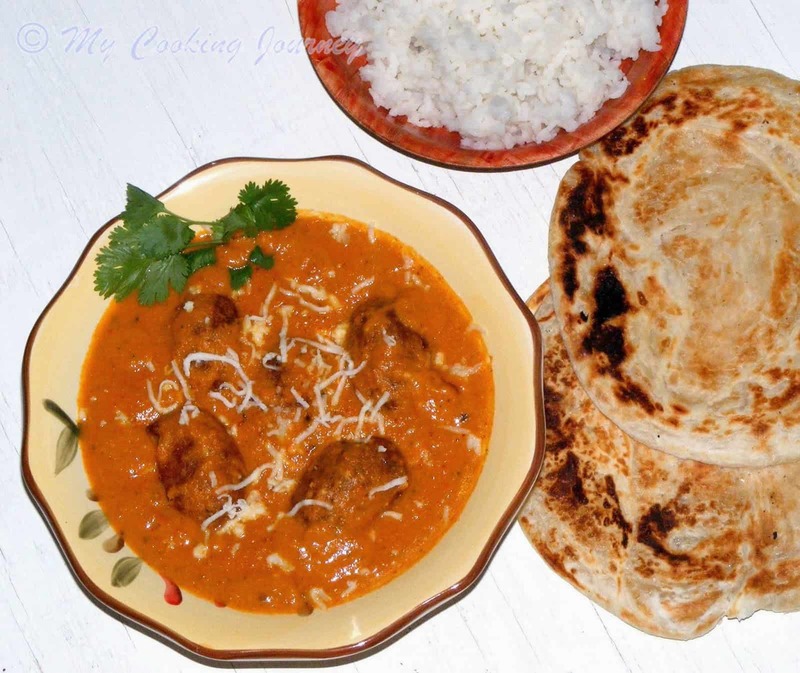 The recipe is very simple and needs just the basic ingredients from the pantry. This week my BM theme is bookmarked recipes and this recipe has been in my bookmark for several days now. I wanted to blog about it before Navarathri, but things just did not fall in place and I am posting this just after Navarathri. Soak 10 – 15 cashew pieces in water for about 10 minutes and then grind it into a smooth paste. Keep it aside until needed. 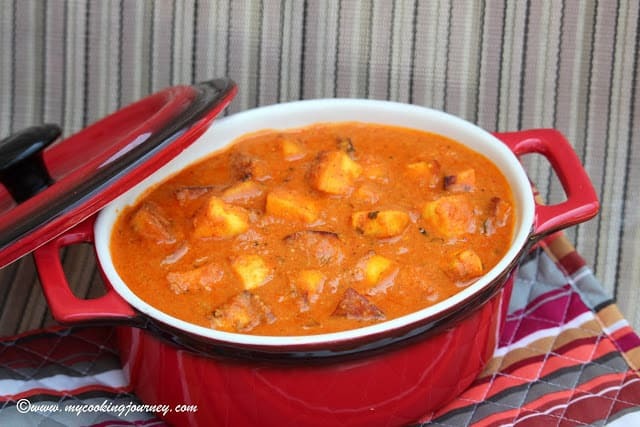 Chop the tomatoes into large cubes and puree it without adding any water. Keep it aside. 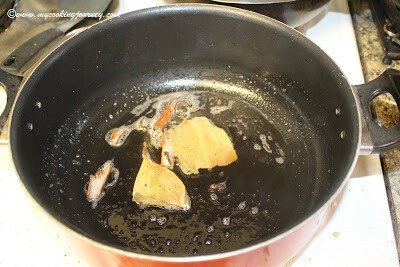 In a pan, heat the oil or butter and then fry the cinnamon stick, bay leaf and cloves until aromatic. 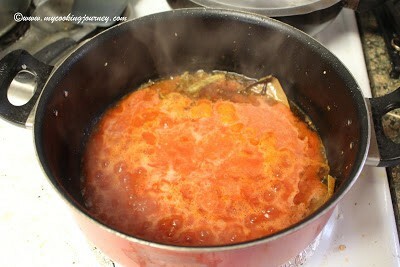 Now add the tomato puree slowly and mix well. Keep the flame low as the mixture tends to splatter a bit. 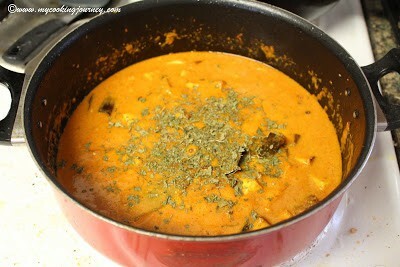 Add the dry masala – red chili powder, turmeric powder, garam masala and salt and mix. 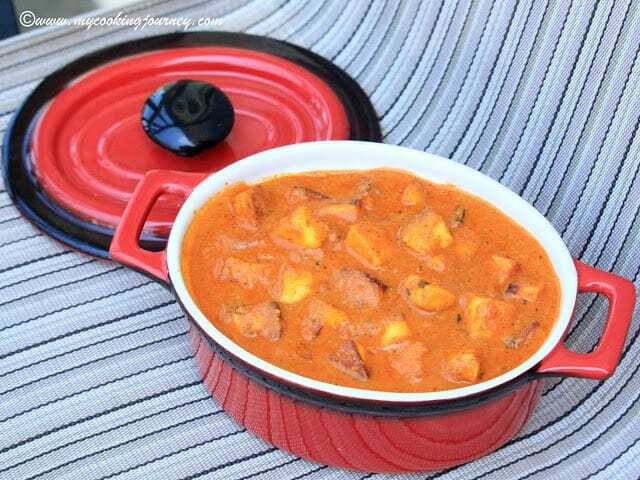 Keep the pan covered and cook until the mixture thickens and starts to leave the sides of the pan. 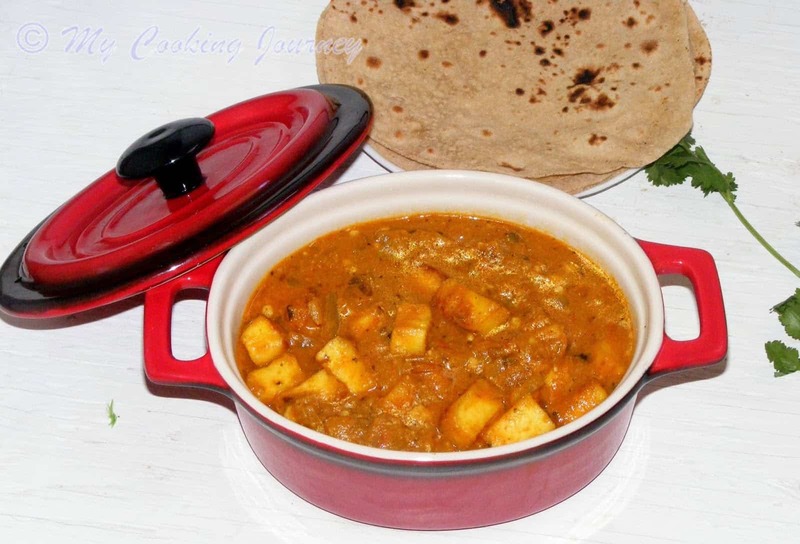 Make sure that you cook the masala in low heat as it cook easily stick to the bottom of the pan and burn. Keep stirring every now and then. 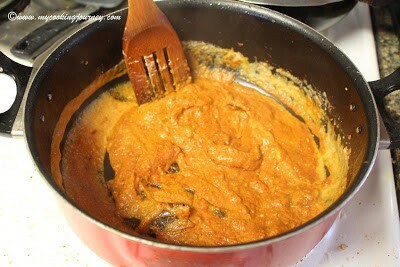 Add the cashew paste and mix well. needed by adding a little bit more milk. 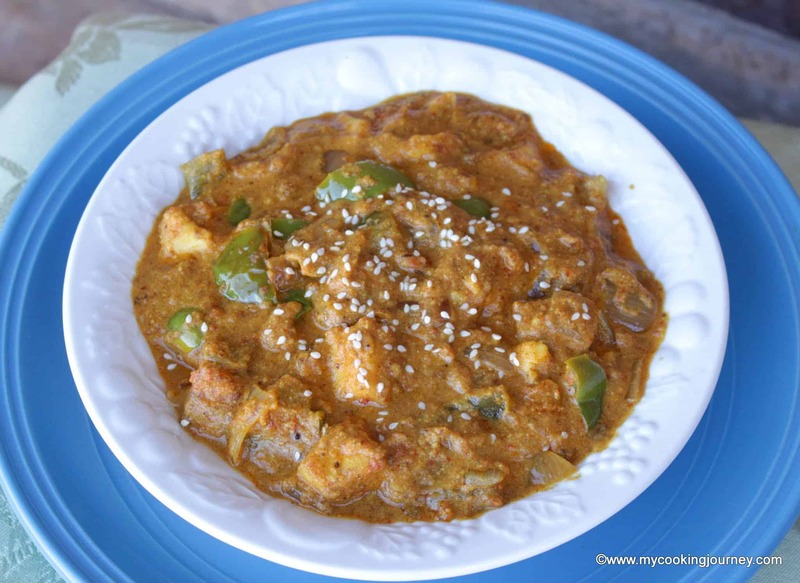 Cover the pan and let it simmer for about 8 – 10 minutes. 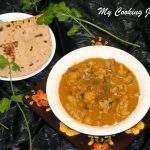 Now add the kasuri methi and mix. Cook for another 2 minutes and then remove from heat. 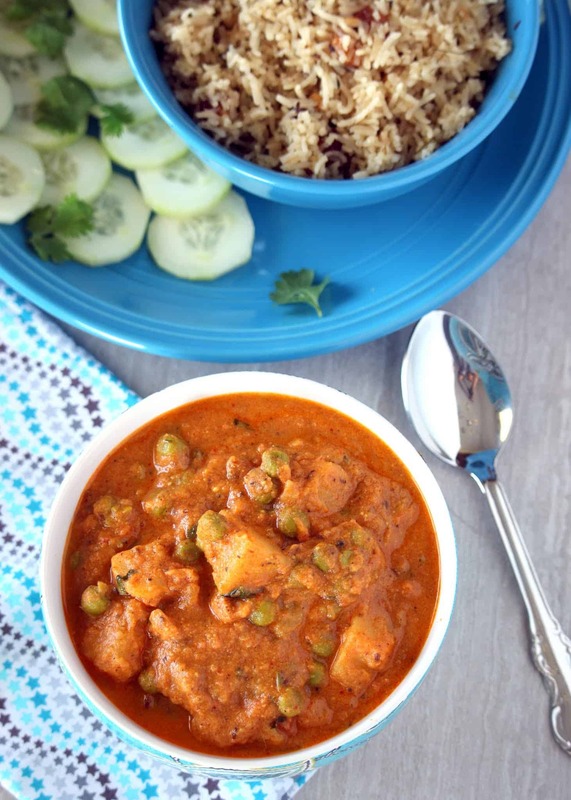 Serve hot with phulkas, roti or rice!